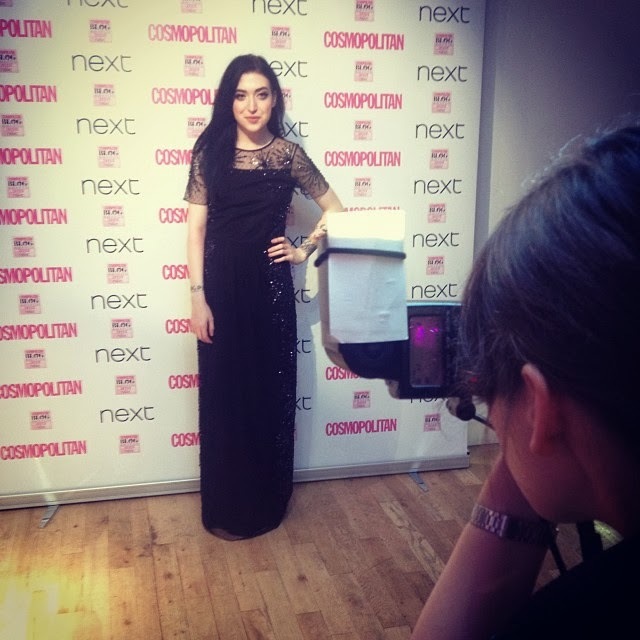 I attended the fabulous Cosmopolitan Blog Awards last in the famous OXO Tower here in London. 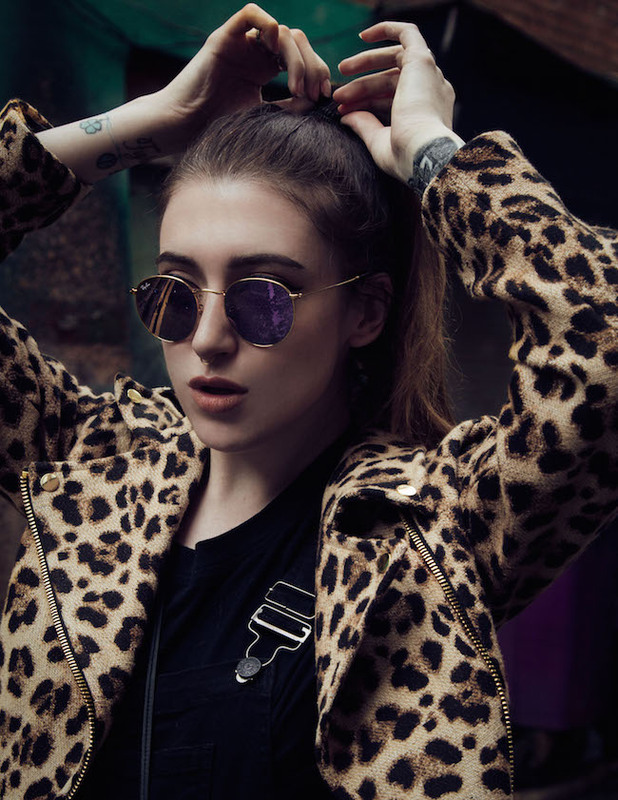 It was my first year nominated; I was shortlisted not once, but twice for Best International Fashion Blog and Best Established Fashion Blog. To my complete surprise, I won Highly Commended for Best International Fashion Blog! I'm still in complete shock over it, as over 40,000 blogs entered this year - thanks to absolutely everyone who put my blog forward and voted for me. 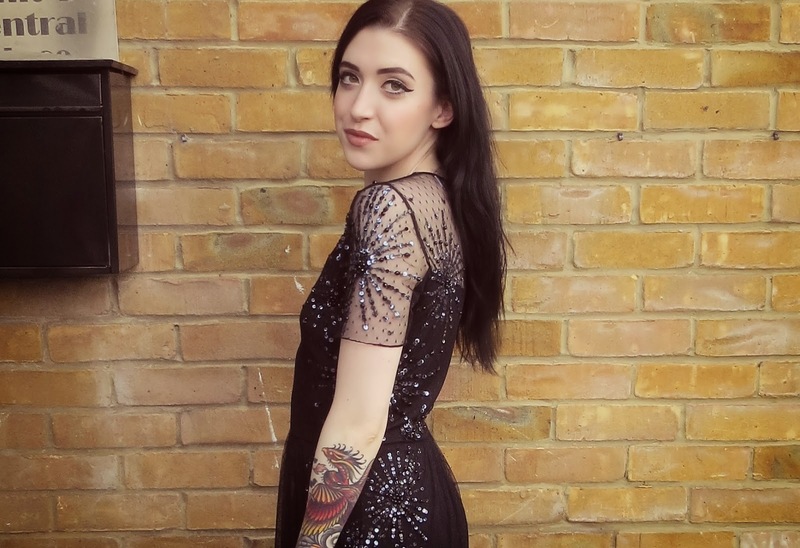 I wore the most beautiful dress to the awards - WishWantWear.com kindly let me choose any dress to wear for the night from their dress hire website. I chose this stunning Alice by Temperley 'Petrol' balanchine gown; the RRP is £585 and hiring this dress only costs £90! It was my first time ever wearing such an expensive piece - in particular a dress - I felt like such a princess. 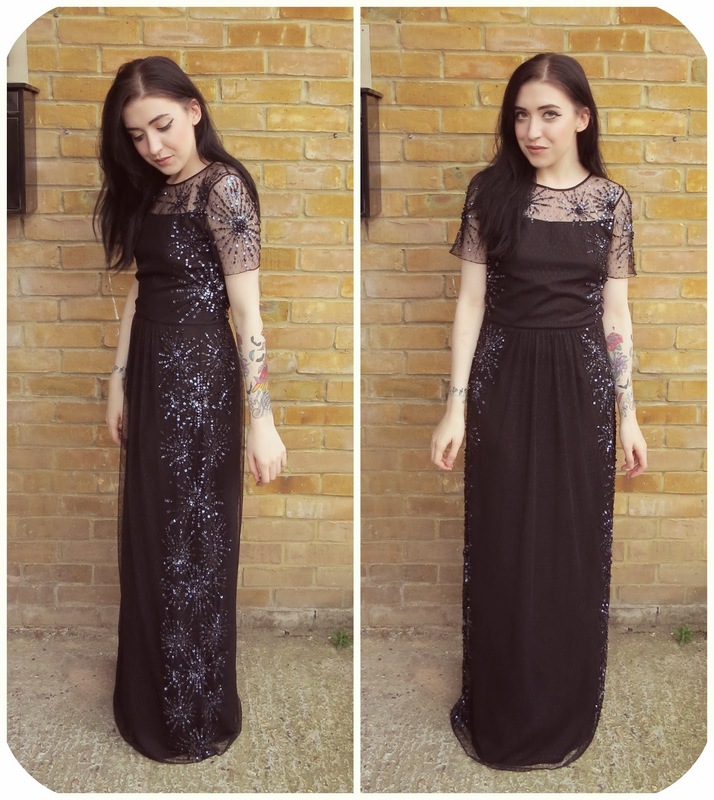 I'm quite petite (5"2) so the dress was really quite long on me, as most long dress are. I wore heels underneath but still found that I needed to lift the dress up whilst walking; if you're planning on hiring it out, keep that in mind! I also wore no accessories as the dress was statement enough.